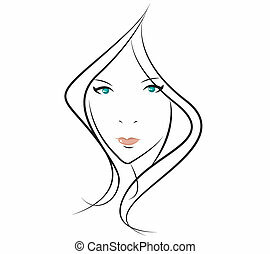 Beauty girl face. 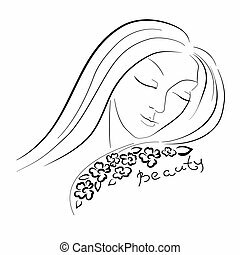 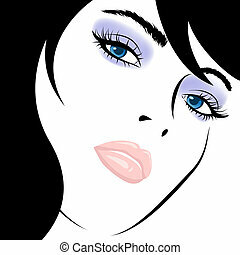 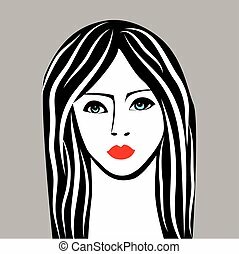 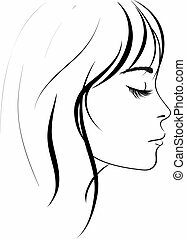 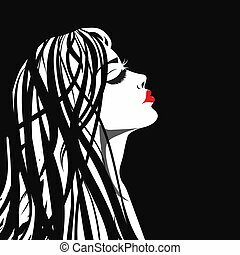 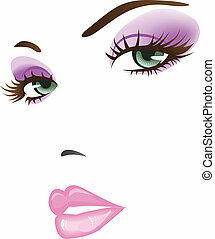 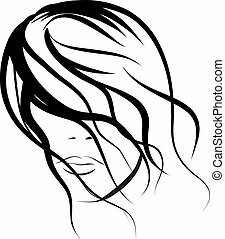 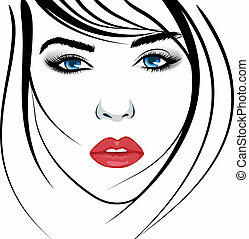 Beauty girl face background, vector illustration. 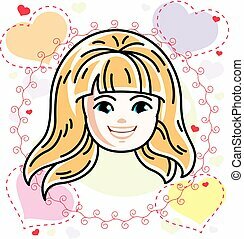 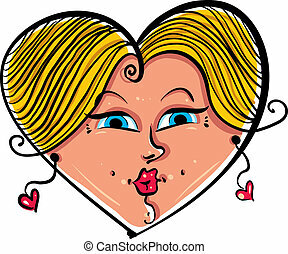 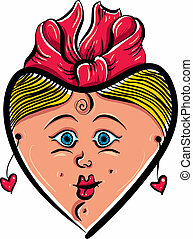 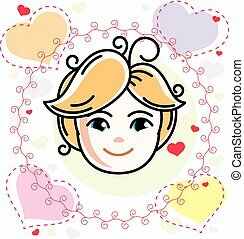 Heart shaped loving girl face, cute woman, vector illustration. 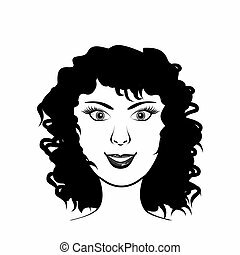 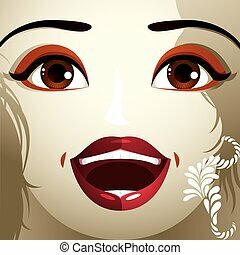 Funny coquette girl face, cute woman icon, vector illustration. 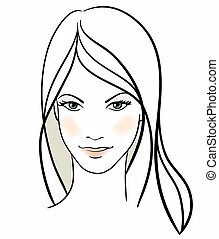 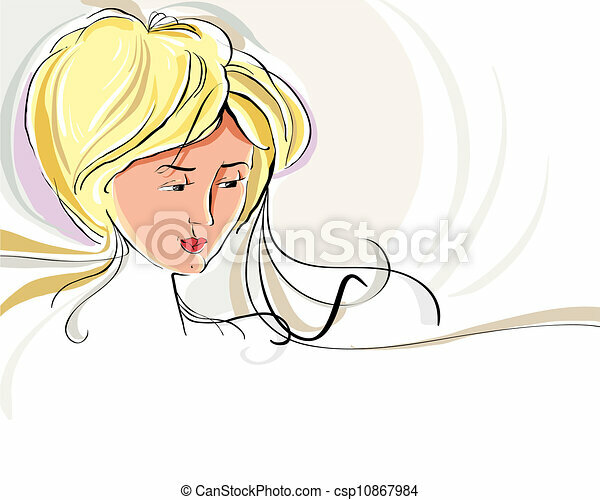 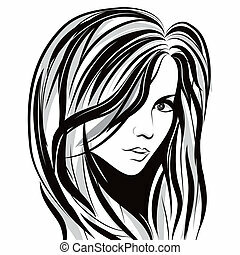 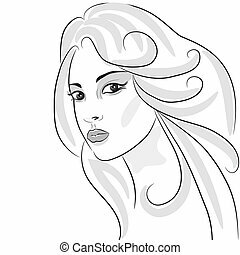 Vector illustration of beautiful blonde girl face, positive face features, clipart. 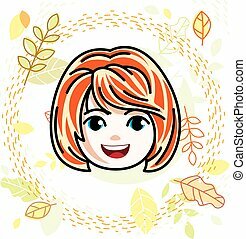 Cute girls face, human head. 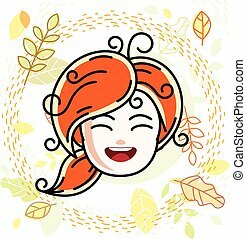 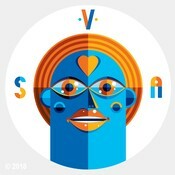 Vector redhead character, smiling girl face features. 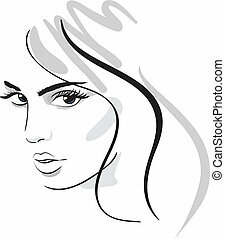 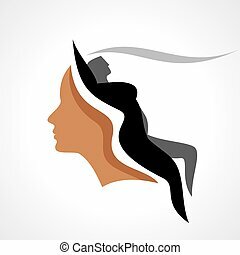 Cute girls face, human head. 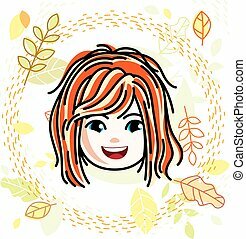 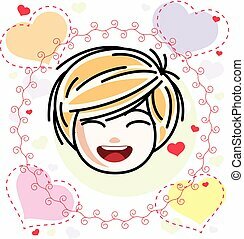 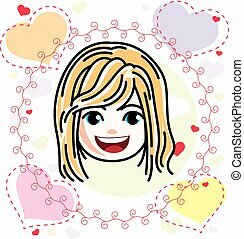 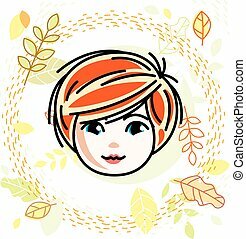 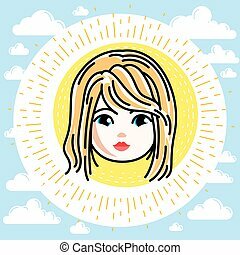 Vector blonde character, smiling girl face features.